Every year thousands of eCommerce businesses are opened and due to plenty of platforms available, the new business retailers don’t find much difficulty in building the foundation of their eCommerce store. But the choice of right platform is challenging, either you want a cheaper platform or the one capable of growing your business, and weighing up the features of each platform could leave you scratching your head in confusion. WooCommerce is an open-source platform which provides users with a feature extensive, yet user-friendly experience, making it perfect for ecommerce startups to get a feel for online business in a way which is easy to digest, understand, and build. In this article we will have a deeper look on WooCommerce, when to use it instead of other complex eCommerce platforms and what are its benefits. WooCommerce lets you sell products and services from your WordPress site. It’s a free WordPress plugin with several vital features such as inventory and tax management, secure payments and shipping integration. It provides eCommerce merchants ease of use with incredible power, flexibility, and features. The growth of WooCommerce continues dramatically. If you look at the eCommerce stores, it clearly shows that 42% of all the stores online are running WooCommerce, about 3.3 million eCommerce stores around the world. Let’s have a look at some advantages of WooCommerce over other platforms. When a new retailer is choosing a platform, price is likely to be a major factor. eCommerce applications range from free to many thousands of dollars per year, but that difference in price isn’t necessarily related to the capability of the application. WooCommerce is completely free to download, right now. Yet, despite being free and open-source, WooCommerce offers extensive features out of the box. You should note that certain third-party payment applications and other extensions may cost money, but this will not be directed to WooCommerce themselves. The number of WooCommerce’s developer are more in number as compare to other eCommerce plugins for WordPress, or even other open source solutions. 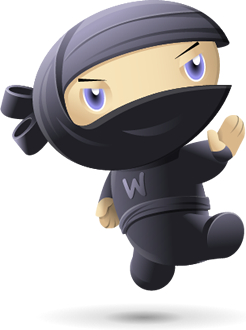 If you try to find a developer with higher experience level, you can easily find in WooCommerce, as there will be thousands of them available. WordPress and WooCommerce offer a wide variety of product and content management options for both physical and digital products, including blogging, landing pages, email marketing, and product descriptions. Setting up new items is remarkably simple, especially if you’re already familiar with WordPress. Furthermore, you can always expand on the platform’s functionality using extensions. SEO plugins like Yoast SEO make it easy for retailers to optimize content for search. WordPress and WooCommerce can provide a fast and responsive eCommerce experience for online stores of all sizes. WooCommerce should be combined with performance-optimized WooCommerce hosting that is specifically engineered to maximize performance. Standard web hosting is capable of supporting WooCommerce, but it cannot provide the highly optimized PHP, MySQL, server, and network environments necessary for a responsive low-latency eCommerce experience. The way customers interact with the store and products, has always been a key point of analysis to improve customer experience. Out of the box, WooCommerce provides an extensive set of analytics displayed in a clear and intuitive interface. Moreover, you can connect WooCommerce with external analytics services like Google Analytics with extensions. WooCommerce platform is not only free but, in fact, there is a lot of room to customize your online store to a level of uniqueness. There are almost 39 different WooCommerce enabled themes – many of which are free, via the WooThemes store. Once a theme has been selected, you can then get to work on changing pre-set CSS styles and colour themes, tweaking the code and experimenting with the special features which each theme offers. WooCommerce gives you more SEO-specific options overall as compare to many other eCommerce platforms, purely because of the fact that it’s built on top of WordPress. WordPress is primarily a content creation platform, and it’s renowned by SEO experts as one of the most reliable options available. It’s easy to add and edit content and meta-information to ensure that pages have a strong chance of ranking for specific keywords. WooCommerce takes advantage of what’s already there in WordPress, or what’s available through third-party plugins like Yoast SEO, or the WooCommerce-dedicated version of the Yoast plugin. WooCommerce bills itself as a community solution, while Magento is more geared towards companies. However, that doesn’t mean small businesses can’t benefit from its functionality too. 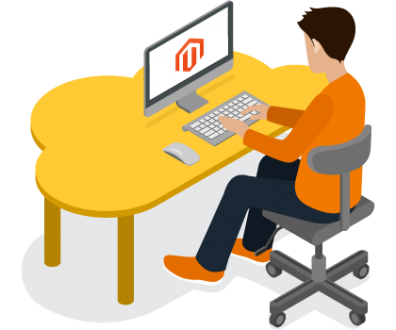 Magento offers both a free Community Edition – which is plenty powerful on its own with self-hosted – and an Enterprise Edition for large companies which includes hosting. It offers advanced security features, as well as dedicated patches to close any vulnerabilities that arise. Magento and WooCommerce are most similar in that they both have open source free versions, Magento is a far more complicated and robust eCommerce platform than WooCommerce, and you could spend many times more on Magento development than you will with WooCommerce due to the complexity and overhead associated with managing a larger application. That’s why Magento is recommended for users that have (at least) a basic level of website knowledge. Picking a winner between WooCommerce and other platforms isn’t easy, since no single platform will fit the needs of every user perfectly. As far as beginners go, the choice is simple – we recommend WooCommerce. It’s easy to use and cheap to set up, which makes it perfect for small operations that need to get off the ground quickly. It enables its users to set up almost any kind of online store, such as home entrepreneurship and selling tickets for a major event etc.